“Brand Reputation” is by no means a new concept. Entire sectors of business have been created with teams of professionals tasked specifically with helping to establish, maintain and shape the way consumers – and the public, at large – feel about a brand. Social Media, though, presents new challenges when it comes to brand reputation management, with hundreds of millions of news stories, blogs, social media posts, photos and videos appearing every day. So where does a brand even start? The first step to solving a problem is admitting there is a problem. According to a recent Forbes article, 46% of internet users in the US have used social media to express their frustration on a branded page, but approximately 79% of online customer complaints are ignored. Whether your social strategy includes direct fans engagement or not, the fact remains that approximately 1-in-2 online users have used social media to express their disfavor with a brand. 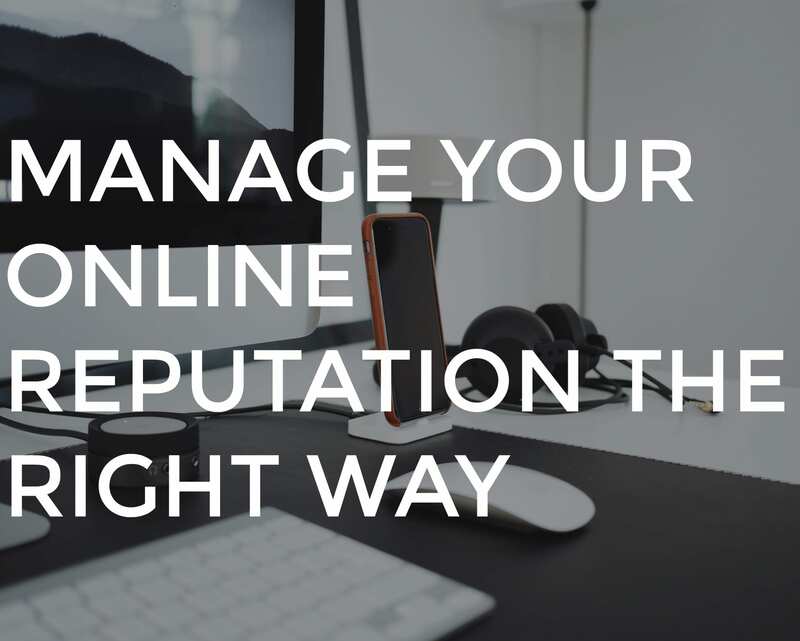 It is these types of negative actions on your social networks that have lasting consequences to your brand’s online reputation, as well as being ones that you can directly manage. It is the experience of this social media marketer that when it comes to tracking and understanding online criticisms about a brand, most Brand Managers prefer ignorance over insights. Brand Managers that are responsible a product day in and day out begin to treat their brand like their children, and when someone starts criticizing your children, the gut instinct is to become defensive or hostile towards the perpetrator. So in the interest of avoiding potential conflict, a Brand Manager will often turn a blind eye towards critics, even at the expense of its online reputation. Don’t take it personally, these people are actually helping your brand get better. Entrepreneur and Author Gary Vaynerchuk wrote in his book, The Thank You Economy, that “the complaining customer who uses social media is a better customer to have than a silent one. You can talk to a customer who bothers to complain. If you think it’s warranted, you can apologize. If you wish, you can explain yourself or ask for a second chance. At the very least, you can make it public record that you do not take anyone’s dissatisfaction lightly”. Whether you’re using social media as a customer service channel or not, the fact remains that consumers who bother to criticize or complain about your brand online are actually helping your brand by providing you with an opportunity to learn and identify new ways in which your brand could be better. So how do you go about effectively managing your online reputation? You then need to run regular searches, or better still, set up alerts or RSS feeds that notify you when your keywords are mentioned. This works best when you have an RSS reader or homepage where you can aggregate all of this information, to make it easier to read and review. We recommend setting up an iGoogle (http://www.google.com/ig) or Netvibes (www.netvibes.com) homepage to display your feeds and alerts. When you’re alerted to a comment about your company, you need to be in a position to respond quickly. The beauty of many of the paid monitoring services is that they provide both the interface (homepage) for your feeds and the ability to respond directly to comments from that same interface. If you’re doing it for free, you need to set up accounts on all the key social media platforms, including: Twitter, YouTube, Facebook, LinkedIn, Flickr and any industry-specific or consumer forums where people are likely to talk about your company. Act quickly – the beauty of social media is it’s real-time. You can snub out misconceptions and fix problems instantly through a quick, smart reply. Never expect things to go away. Blog posts and forum comments linger in search engine results forever, so you need to make sure your viewpoint is there too. Be nice – you really want to avoid getting angry or making threats. Try and reason with detractors and understand where they are coming from. By showing that you’re listening, you’ll win respect and support from others. Be pro-active – when discussions arise that relate to your industry, get involved nice and early with your perspective. This encourages promoters to back you and takes the wind out of detractors’ sails. Overwhelmed? Don’t worry, we can help. A former boss of mine used to say that Online Brand Reputation Management was like a gym membership… you’ll only get out of it what you put into it. But let’s be honest, Personal Trainers exist for a reason. Because sometimes you need a professional to help you ensure you’re doing the right things to achieve the best possible results. Smashed Abacus is like your Personal Trainer for Social Media. We take the cost, strain and burden of social media listening and analysis off of your plate, by delivering customized, manually created summary reports to enhance your own social media knowledge and understanding. We work with our clients to help them get beyond “vanity metrics” to deliver truly actionable insights that help drive business decisions and effectively manage your brand’s online reputation. Learn more about author and speaker, Cam Steed here!